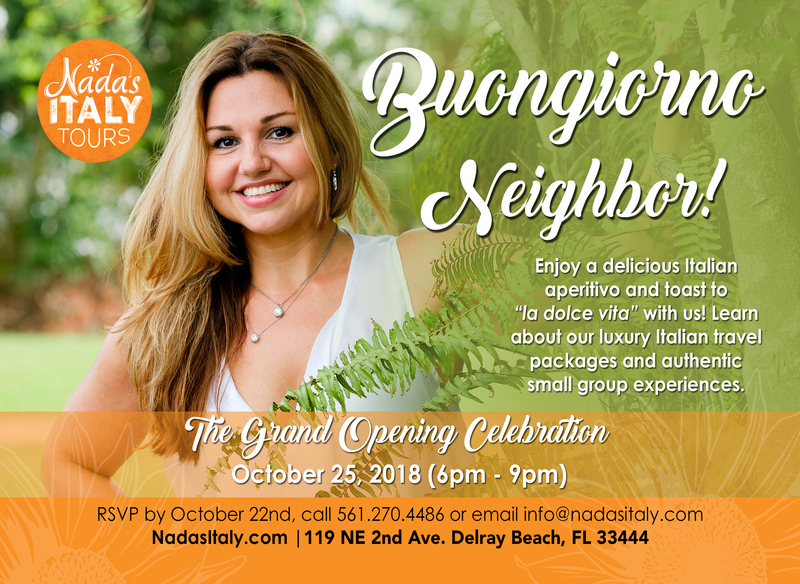 Join us for the Grand Opening and Ribbon Cutting of Nada's Italy Tours!! All members and their invited guests welcome! 5:30 p.m. - 9 :00 p.m.